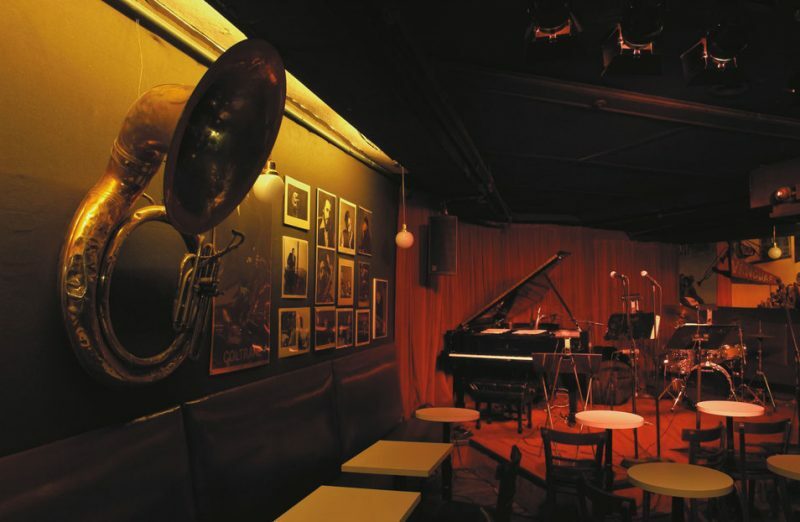 It has been called “hallowed ground.” If “hallowed ground” seems over-the-top as a metaphor for a jazz joint, consider: 52nd Street faded long ago into the black and white photographs of history. The Blackhawk in San Francisco has been a parking lot for 40 years. The Lighthouse near Los Angeles has been dark since the ’70s. 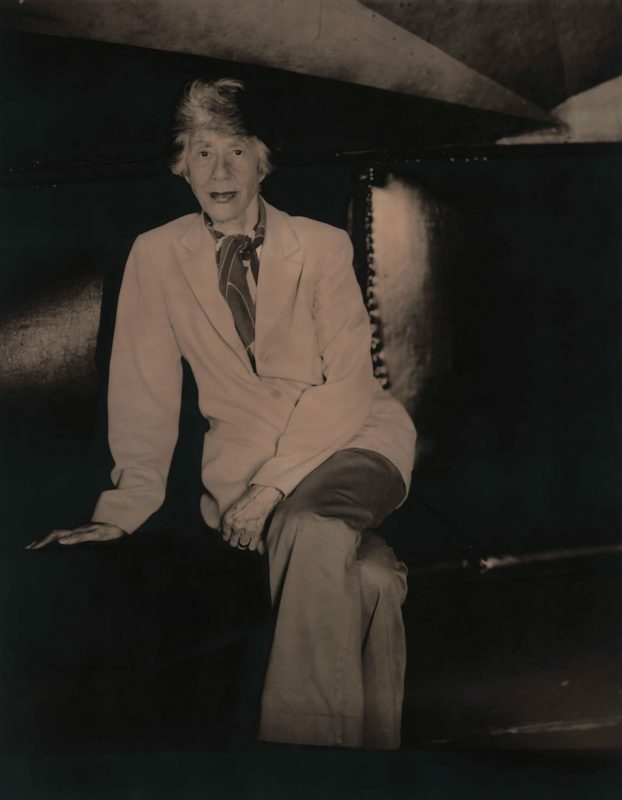 But the wedge-shaped cellar called the Village Vanguard has been below 178 Seventh Avenue in Greenwich Village since 1935. 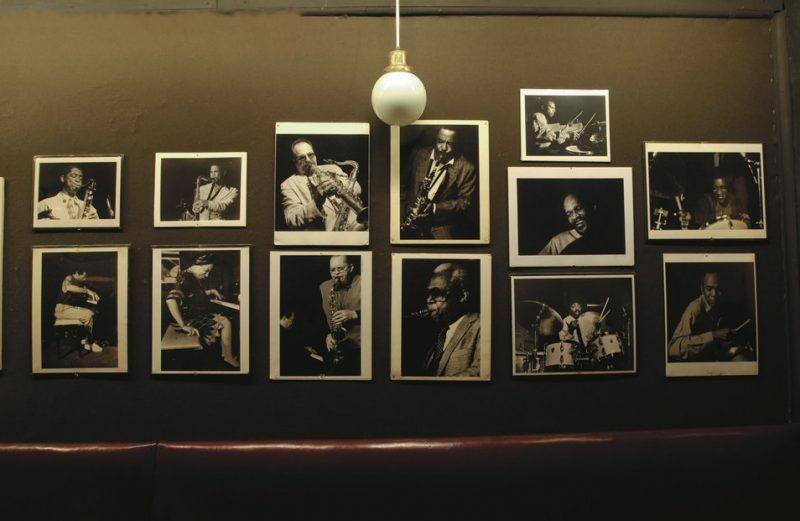 Since the mid-’50s, when owner Max Gordon adopted an all-jazz policy, virtually every important jazz musician of the last half-century has played there. In a world as unstable as ours, there is something reassuring about the fact that, on the covers of John Coltrane Live at the Village Vanguard Again, from 1966, and Martial Solal’s NY-1: Live at the Village Vanguard, from 2003, the musicians are standing on the same sidewalk beneath the same cantilevered neon sign. The Village Vanguard Web site (villagevanguard.com) displays more than 100 album covers of recordings made there, from Sonny Rollins’ A Night at the Vanguard (Blue Note), recorded on November 3, 1957, to Bruce Barth’s Live at the Village Vanguard (MaxJazz), recorded August 3 and 4, 2002. The most recent spate of Vanguard recordings comes from Blue Note: Martial Solal’s NY-1, Joe Lovano’s On This Day…At the Vanguard and Jason Moran’s The Bandwagon. In a conversation with Lorraine Gordon (Max’s widow and the current owner of the club) on a recent Sunday afternoon, she reports that yet another Vanguard recording project is underway. She is alone in the kitchen of the club, surrounded by recording equipment, answering the phone to take reservations for that evening’s performance by the Uri Caine Trio. (Look for a future release on the Winter & Winter label.) Lorraine also reveals that she has recently discovered a long out-of-print Stan Getz LP that was recorded at the Vanguard and appears to predate the Rollins, long assumed to be the first Vanguard recording. Gordon bought the Getz for $46 on eBay. It is her record collection that is posted on the Web site. The single most legendary Vanguard recording session took place on the afternoon and evening of June 25, 1961. It resulted in two Riverside albums by the Bill Evans Trio, Sunday at the Village Vanguard and Waltz for Debby, that have been obsessively reissued, repackaged, cherished, wept over and written about ever since. They even received the rarest, highest honor that the respectable intellectual world accords jazz recordings-a feature article in the New Yorker. 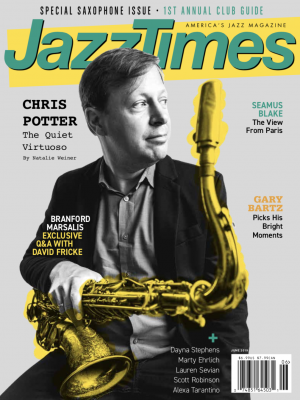 Adam Gopnick’s piece in the August 13, 2001, issue is called “That Sunday” and is subtitled, “jazz’s perfect afternoon, 40 years later.” Gopnick’s explanation for the enduring allure of these performances is that “they are as close to pure emotion, produced without impediments…as exists in music.” The best jazz recordings break through to that purity of feeling, to the music behind the notes, for moments. But on that one day, a trio of Bill Evans (piano), Scott LaFaro (bass) and Paul Motian (drums), were able to dwell on that plane. Fred Hersch spoke of the “hush” of the Vanguard, and no music ever recorded there contains so much of it as do these Evans albums. This is true, paradoxically, despite a level of crowd noise that would never be found in a contemporary recording. The cult status of these recordings comes in part from the fact that this group, which redefined the piano trio as an interactive shared enterprise, never played together again. Scott LaFaro, and his bass lines like poetry of shadow and light, died in a car accident on July 6, 1961. Not only did Bill Evans record more famously at the Vanguard than anyone, he also recorded there more often. He made two albums for Fantasy in 1974, Since We Met and Re: Person I Knew, both produced by Keepnews. 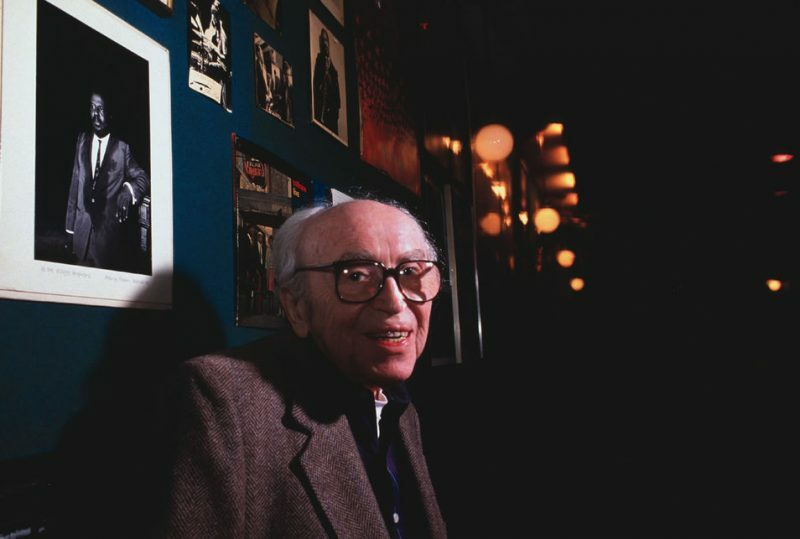 Three months before Evans died in 1980, he recorded the material eventually released in a six-CD set as Turn Out the Stars: The Final Village Vanguard Recordings (Warner Bros.). Almost half of Evans’ Vanguard output was recorded without his knowledge. It is a strange story of devotion become monomania: How a Bill Evans true believer named Mike Harris surreptitiously recorded the pianist’s performances at the Vanguard (and other venues) over the last 15 years of Evans’ life on a portable Uher tape recorder and a Sennheiser microphone hidden in an oversized carpetbag. In 1996, after clearing the required legal hurdles, a portion of the Harris tapes were released on the Milestone label as The Secret Sessions, produced by Orrin Keepnews. It is a document unique in the history of recorded jazz. (The obvious comparison is the Dean Benedetti recordings of Charlie Parker, but they contain only Parker’s solos and were made on archaic equipment.) The eight CDs of The Secret Sessions span the years 1966 to 1975, and to hear them now is to eavesdrop on music that was meant to be, in Eric Dolphy’s phrase, “gone, in the air,” but has been miraculously stolen from history. Keepnews, who knows Evans’ work better than anyone alive, calls the music “uneven as hell because Bill responded very much to the fact of recording, when he knew he was recording. He neatened up and straightened his tie.” Yet the collection also contains illuminations and revelations and discoveries that feel more free and impulsive, more thrown open to chance, than anything in Evans’ recorded work. Keepnews used the Sonic Solutions noise reduction system on the Harris tapes, and the sound is listenable, just barely. The acoustics of the Vanguard are renowned, but what role, exactly, have they played in the recordings made there? Engineer David Baker describes the room as “dry.” Dead and dry are compliments; they refer to the relative absence of interfering room reflections and the fact that the sound can travel well. MacDonald, Anderson and Baker are three of the most respected engineers in jazz. All have recorded extensively at the Vanguard and have been responsible for some of the best-sounding recordings ever made there. If the Fred Hersch album is not the best-sounding piano-trio recording ever made at the Vanguard, Junko Onishi’s two-volumes of Live at the Village Vanguard (Blue Note, 1994) are. Jim Anderson, who is perhaps best known for his reference-quality studio work with Patricia Barber, recorded Onishi’s trio with a 24-track Sony digital-tape recorder, 18 microphones on the trio and two short pieces of Plexiglas around the drums. He did not set up his control room in the kitchen (what MacDonald called “the dishwashing room”) but used a sound truck. “That’s a huge hang down there, and a truck keeps me out of the fray,” Anderson says. Onishi is one of the least-known artists to record at the Vanguard as a leader, but she has major-league chops and highly evolved idiosyncratic concepts, and Anderson gets close to the same snap-your-head-back dynamic attacks and nuanced intimacy that have made his studio recordings remarkable. David Baker recorded Bruce Barth’s piano trio album on the same Tascam DA-78 that A. T. Michael MacDonald used for the Hersch recording, except that he used two of them, and 14 microphones. “But it’s not the equipment, it’s what you do with it,” Baker says. The markedly differentiated sound of the Baker recording validates this claim. If MacDonald puts you at the second table, Baker puts you at the first. Baker gets a little more of the room (probably because, unlike MacDonald and Anderson, he hangs a mike above the stage), but this broader perspective comes with a subtle trade-off in precise resolution of instruments. These three albums demonstrate conclusively that, in the beneficent acoustics of the Vanguard, it is possible to capture jazz ensembles with a clarity and balance that approaches the finest studio recordings. Yet to spend hours with a large stack of Vanguard recordings also demonstrates at least two other important truths. First, there are enormous disparities in sonic quality, and the variable, even more than the era, is the engineer. Second, some of the older recordings, even with their technical limitations, create a much more convincing sense of participation in a night of music (or, it should be noted, an afternoon, since the Vanguard used to put on matinees) than some more recent efforts. A fact that is not irrelevant-a fact that raises many questions about the hype and misunderstanding surrounding the subject of recorded sound-is the puzzling and finally rather appalling circumstance that three of the very worst-sounding recordings ever made at the Vanguard are the three most recent. Joe Lovano’s On This Day…At the Vanguard (Blue Note) is the much-anticipated second recording by Lovano’s nonet. The first, 52nd Street Themes (also Blue Note), won a Grammy in 2000. Lovano and his band probably played beautifully at the Vanguard. It is difficult to know for sure, because the recording is a disaster. It sounds like a recording of a nonet in a club down the street: vague and disembodied and distant, devoid of detail and immediacy. When a closer perspective is provided, as on the Coltrane ballad “After the Rain,” Lovano’s tenor is overloaded. Another recording that should have been important is the latest work by the rising piano star Jason Moran, The Bandwagon (Blue Note). But here too the music feels out of reach, perversely placed in the near distance. Kurt Lundvall, son of Blue Note president Bruce Lundvall, recorded both the Lovano and the Moran CDs. The Lovano is described in its press kit as “basically a two-track recording,” but this methodology cannot in itself be the problem. The utter lack of vividness and presence in the sonic presentation of these albums sounds like two botched attempts at minimalist miking. Martial Solal’s NY-1 (Blue Note) is also sonically terrible, but at least there is an excuse for the brittle piano, spitty cymbals and nonexistent bass. It was recorded less than two weeks after 9/11, and, with all the fire trucks, ambulances and police vehicles jamming Greenwich Village; it was not possible to park a recording truck outside the Vanguard (which is adjacent to a hospital). Apparently it was also impossible to get the right equipment down those steep stairs. Blue Note product manager Mantis Evar taped the then 74-year-old, brilliant French pianist’s first appearance at the Vanguard on a single stereo mike. It was a bad idea. In this situation, a New York recording studio would have served the artist and his fans much better. Larry Appelbaum, whose day gig as senior recording engineer at the Library of Congress and whose avocation as a collector of Village Vanguard recordings made him a valuable resource for this article, offers an important observation about the permanence and the magic of the Vanguard discography: “Musicians feel spiritually the legacy of that room. At least 80 percent of it is the performance. Only 20 percent of it is the recording quality and what they do postproduction.” Appelbaum is of course correct, and very few of the Vanguard recordings are so technically flawed that the truth of the music is withheld from us. In fact, some of the older and more primitive recordings are the ones that draw us most powerfully into a time and a place real enough to remember, though we were never there. It is not just the crowd noise on live recordings. It is not even the issue of multitrack recording from a sound truck (although Keepnews is not wrong that modern technology often achieves cleaner sound while losing some of the visceral texture of the event itself). The truth is that the greatest jazz albums have been those that capture the breathing, transitory, existential atmosphere of a live event. Miles at the Blackhawk and Lincoln Center and the Plugged Nickel. Monk at the It Club and Sankei Hall in Tokyo. Jarrett at Philharmonic Hall in Munich. Ellington in Fargo. Parker at the Royal Roost. And that deep repository of American cultural history, the recordings from the Village Vanguard. To be more precise, what the Vanguard recordings give us back is our evenings. We get these evenings back even though they were never ours to lose. We’re just there and all.